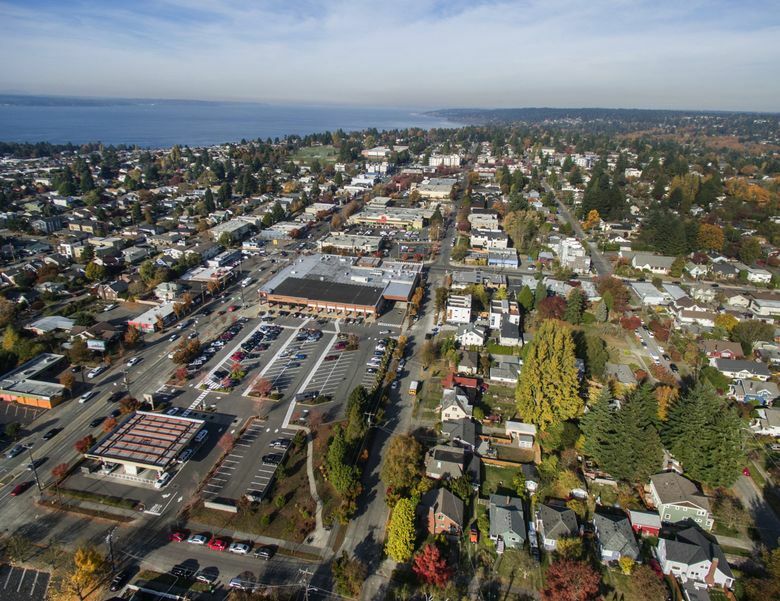 Council members are championing amendments that would reduce upzones proposed for blocks of single-family houses in West Seattle Junction, Mount Baker, Ravenna, Wallingford and Crown Hill. Seattle City Council members want to trim back a plan that would allow denser buildings in the cores of 27 neighborhoods while imposing affordable-housing requirements on developers. Their amendments, which they intend to discuss in committee Friday, would reduce upzones proposed for blocks of single-family houses near the hearts of West Seattle Junction, Mount Baker, Ravenna, Wallingford and Crown Hill. Rather than make those blocks low-rise zones in many cases, the amendments would instead make the blocks residential small-lot zones or preserve them as single-family zones. Fewer units are allowed in residential small-lot zones than low-rise zones. For instance, there could be nine units on a certain property in a low-rise zone but only two or three on a site of similar size in a residential-small lot zone. Many neighborhoods set to be upzoned, such as Lake City, South Park and Columbia City, aren’t the subject of any council member amendments. The council intends to vote in committee later this month and to pass the upzones plan in March. The idea behind Seattle’s plan is to harness market-rate development to generate thousands of affordable-housing units. Scaling back the upzones likely would result in fewer such units being generated but could address “livability concerns” raised by some constituents, council staff said Thursday in a memo. As currently written, the plan would allow developers to build one or several stories higher in neighborhood nodes already zoned for apartments and along commercial corridors throughout the city. It also would allow denser residential development on 6 percent of lots now reserved for detached, single-family houses. Councilmember Lisa Herbold is championing amendments that would scale back upzones proposed for single-family blocks in West Seattle Junction, while Councilmembers Rob Johnson and Mike O’Brien have amendments that would do the same in Wallingford and Crown Hill, respectively. West Seattle is in Herbold’s District 1, Wallingford is in Johnson’s District 4 and Crown Hill is in O’Brien’s District 6. To somewhat counter the impact of those amendments, Johnson and O’Brien want to allow as many as four housing units per building in residential small-lot zones. Additionally, Council President Bruce Harrell is sponsoring amendments that would remove the newly designated Mount Baker Park Historic District from the upzones plan, and Johnson is pushing amendments that would remove the newly designated Ravenna-Cowen North Historic District from the plan. Partly because the council members are limited by what the city studied in an environmental review, only a small number of amendments now under consideration would increase the scale of upzones on certain blocks. When the council members discussed a greater number of potential amendments last month, they had yet to lend their support to any of them. In the upzoned areas, Seattle’s plan would trigger its Mandatory Housing Affordability policy, which requires developers to include some rent-restricted apartments in their projects or pay fees to fund the construction of such units for low-income households elsewhere. It would require developers to devote 5 to 11 percent of their projects to affordable apartments or pay $5 to $32.75 per square foot in fees. The plan was initially proposed in 2015, under then-Mayor Ed Murray, but outreach and legal challenges took years. Proponents became worried last week that Mayor Jenny Durkan might add another delay by directing her planning office to carry out a supplemental environmental review of how the upzones could affect the city’s historic buildings. But she decided against that. Instead, she had the office this week issue a document that concluded the historic-buildings analysis.